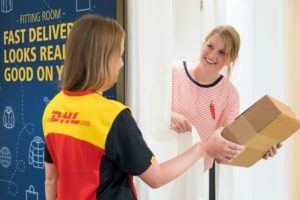 DHL has placed fitting rooms in its service points to be able to fit clothing bought online. At The Hague it is already possible to fit in and Amsterdam will follow soon. The garment that is picked up at the service point and does not fit unexpectedly can then be returned quickly and easily. 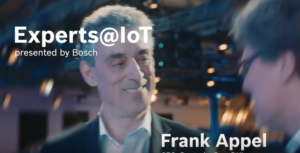 CEO Frank Appel wants to modernize Deutsche Post DHL Group from top to bottom. One of his ambitious goals is zero emission logistics in 2050. As no automotive manufacturer was interested in developing a suitable electro vehicle for Deutsche Post DHL Group, they decided to do it alone with StreetScooter. 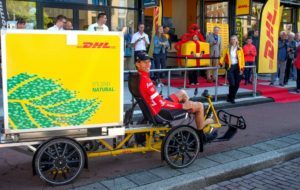 DHL Express has started in Groningen (NL) with a CityHub for sustainable city distribution. It is a local operation with a parcel shop function from which cargo bike couriers, in particular, deliver and collect parcels and where consumers can pick up and send shipments themselves. Parcel deliveries: can we cut the number of vehicles by half? 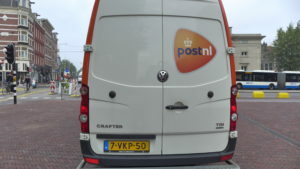 The delivery of packages ordered online can be made much more sustainable: “Unnecessarily large vehicles are essentially transporting air,” says Walther Ploos van Amstel, professor of city logistics at Amsterdam University of Applied Sciences, on Twinkle. The way he sees it, there are twice as many delivery vans driving around in the city as necessary. 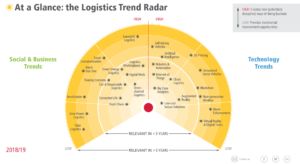 How can smart initiatives stimulate more efficient parcel deliveries? City logistics makes an important contribution to the quality of life that people experience in cities. 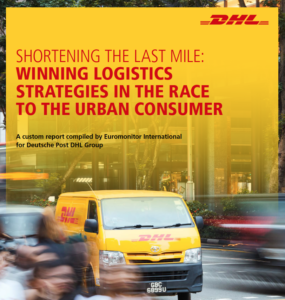 The liveability of cities is under pressure, partly caused by growing number of ‘last mile’ E-commerce deliveries. Various (f)actors involved in the last mile have led to smart initiatives in the sector. Wehkamp starts with delivery on cargo bikes. After several successful pilots, Wehkamp, DHL and Fietskoeriers.nl join forces. 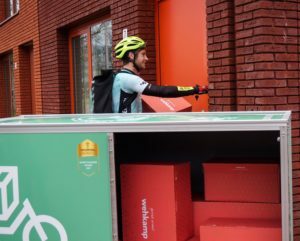 In 12 cities the couriers of Fietskoeriers.nl deliver, in the ‘last mile’, part of the packages from Wehkamp at home.